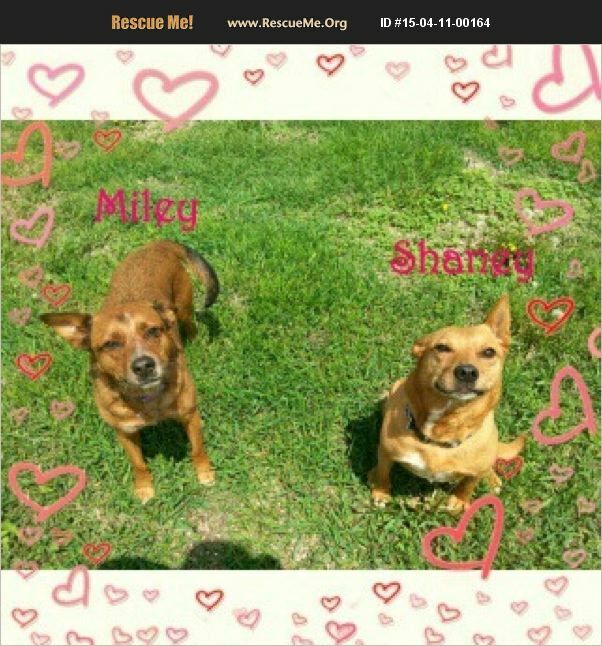 Shaney & Miley are mother and daughter and are very bonded; DOB's 2010 & 2011. These girls have been with GGOH since they were brought in from one of our rescue missions on a reservation in South Dakota. Shaney, Miley and Bandit (who has been adopted) were taken after they were found beaten, with broken jaws and multiple injuries. It was reported by persons on the reservation that Shaney and Bandit were trying to save their puppies (who all perished) who were being beaten by some children and in their attempts, they were hit with baseball bats, breaking their jaws and Shaney's ear. It was heartbreaking to know they had suffered so much but it was heartwarming to know we were there and could get them out safely. Shaney, Miley and Bandit came to GGOH where they had to learn to trust and understand the world was not always a scary painful place. Miley was Bandit and Shaney's daughter from a previous birth so mom and daughter rely on each other heavily. Both love to go for walks and are great on their leashes. Love to snuggle and just be with you. They will need some time to adjust to a new environment but will do great with an individual or a family, with older children, who will give them love and patience. They are ok with cats but do have some issues with other dogs as they are afraid of them sometimes due to their beginnings, running among the packs. We know they are special souls who just need understanding and a peaceful place to call 'home'. Red Heeler/Jack Russel mixes. Please don't overlook these wonderful pups ~ we know you would be happy with them, if you just gave them the chance they deserve.